Next door is the Stockholm Cathedral. 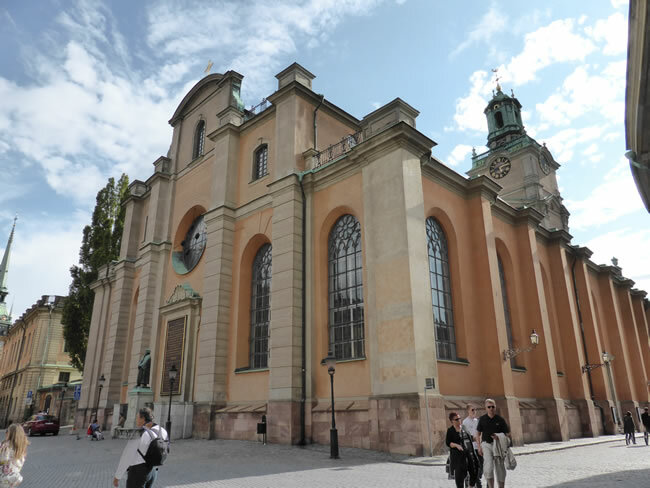 It is the residence of the bishop of Stockholm and is where Royal coronations, weddings and burials are held. The interior of the cathedral is Gothic in style and dates back to the 1400s while part of the exterior was rebuilt in the 1740s in the Baroque style to complement the surrounding buildings.